Wer unterwegs und im Büro anspruchsvolle Aufgaben erledigt und dabei sein Notebook nicht schont, sollte einen scharfen Blick auf das 6930p werfen. Denn das HP Elitebook bietet neben dem auf dezente Weise repräsentativen Aussehen auch bemerkenswerte Allroundtalente. Damit kann es schnell zur ersten Wahl für Bauch und Kopf werden. 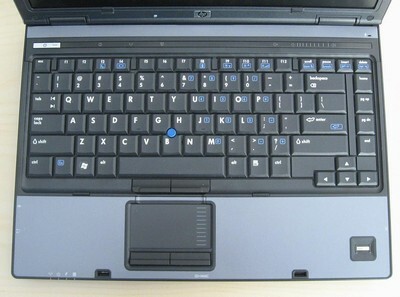 Mit dem EliteBook 6930p liefert Hewlett Packard ein gutes Business-Paket, welches neben einer passenden Einsteigerkonfiguration durch optimale Verarbeitung überzeugen kann. Hochwertige Materialien werden ausgenutzt, um die Sicherheit von Daten und den Bedienkomfort auf höchster Ebene zu halten. Perfekte Grundlage für die geballte Office-Power – die Centrino-2-Plattform. A great laptop that successfully combines rugged and regular features. 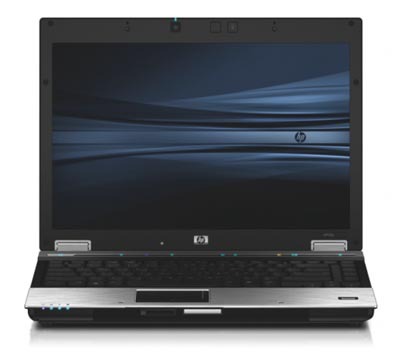 HP, the world's number one laptop manufacturer, makes an enormous range of machines, including what they describe as business-rugged modelsThe HP EliteBook 6930p is a great business tool that boasts impressive rugged qualifications. It isn't as tough as the Dell or Getac, but it's not designed to be – instead it offers a successful mix of the regular and rugged and makes a great portable partner. 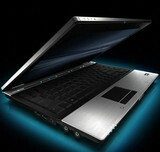 Its longlife 24-hour battery makes it significantly less portable, but this laptop is classy in every sense of the word. A wag on the www.pcauthority.com.au forums recently opined that PC Authority can find fault with any product. There's a grain of truth to that: how many products do you know of that are truly perfect? The price is fantastic - at just $2428 for the base model, you'll have no qualms springing for an additional $269 extended battery. We have a niggling complaint about that extra weight, but it deserves an A-List regardless. Nowadays it's possible to buy a portable PC to meet virtually any possible scenario, ranging from the super-light, super-small mini-notebooks and tablets for stuffing into a backpack or small briefcase, through to widescreen, 17-inch monsters designed to be mobile desktops for serious gamers or CAD users. If you need a robust, hard working notebook with a decent sized keyboard, multiple WiFi options, several specifically useful business and security options plus easy to use controls, then it may be worth joining the Elite. It would be nice to have a DVI-out option next time, though. 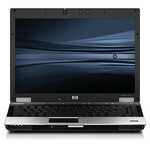 EliteBook is relatively new series of HP notebooks and it is intended for demanding business users. It was created with goal of creating better distinction between business and top-class notebooks that can withstand much tougher working conditions. Model that we got in our test lab is HP EliteBook 6930p and after first contact with this model it was clear that we got an “elite” notebook. 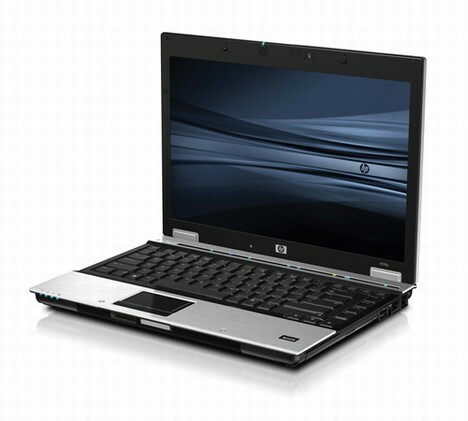 HP EliteBook 6930p is one extraordinary notebook that is suited for mobile users that often find themselves in not so pleasant circumstances. Also this is perfect notebook for users that are little but clumsy with their hardware or simply are not used to take care of their equipment. In other words: best buy for business users. 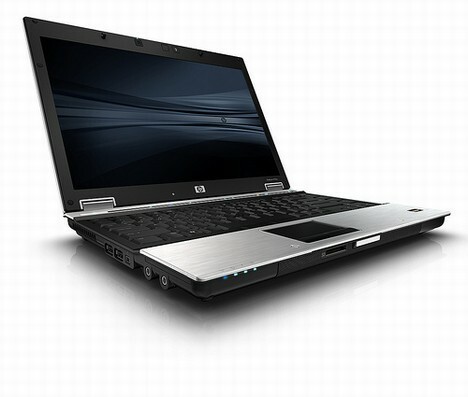 The HP EliteBook 6930p is a decent mobile workhorse. With no fewer than 19 models available, it could prove challenging to decide which one best suits your needs. Unfortunately, if you need integrated mobile broadband, there's only one available option. As for the rest, we would discount all those with the low screen resolution of our review sample, which narrows the field considerably. If cost is a key consideration, you can also rule out the SSD-equipped models. If all-day endurance is what you’re looking for, the HP EliteBook 6930p will satisfy with an unprecedented 14 hours of battery life, partly thanks to a blazing Intel SSD. However, it’s heavier and clumsier, and its performance scores are lower than what you’d get with a $1,399 configuration. Because of its higher price and heavier weight, this configuration of the 6930p is best-suited for people who demand elegance, durability, and long battery life in one package—and don’t mind schlepping a six-pound laptop. 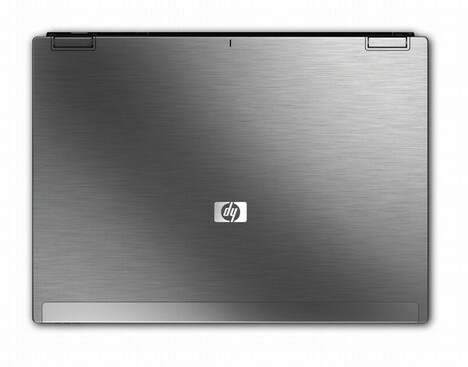 70% HP EliteBook 6930p notebook Can this 14-incher justify the price? The EliteBook does very little wrong - indeed the slightly hazy screen and the similarity in styling to Compaq models are the only criticisms we can aim at it. Despite this, we found it a difficult machine to justify, with Compaq laptops offering similar performance, features and usability at a cheaper price. However, if you’re taken by the styling, and fancy something a little more up-market, it’s a useful business tool, with impressive connectivity and an all-day battery life that lets you keep in touch with the office wherever you go. 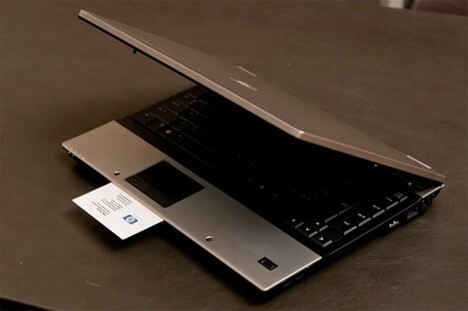 Whilst we would love to really see just how rugged the EliteBook 6930p is, our insurance policy had other ideas. Looking at it, we believe that this unit will go the distance and would be ideal for someone who needs a notebook that can tough it out in the real world (or at least in a plane when another passenger dumps their heavy backpack on it). The screen is good but if you are using this notebook in daylight, you will need to crank up the brightness even at the expense of battery life. If, however, you work at night, this notebook is ideal with its ambient light sensor and mini keyboard light. What constitutes a computer for the elite? If there's anything in a name, HP may have the answer with its latest business laptop, the EliteBook 6930p ($2,104 direct). HP is out to create some separation between its new EliteBook brand and the EliteBook's predecessors—the Compaqs—by serving up a metallic look and up-to-date Centrino 2 parts. 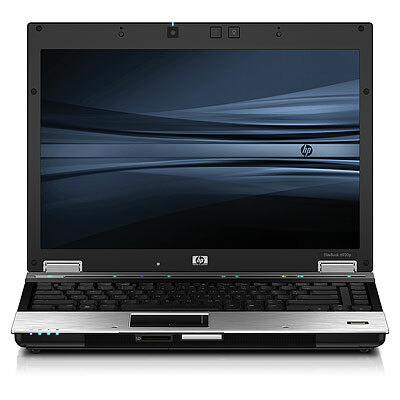 A solid business laptop with an anodized aluminum finish, the HP EliteBook 6930p is ruggedized to withstand the rigors of daily use. But how elite is it? HP backs the EliteBook 6930p with a generous three-year warranty on parts and labor and toll-free 24/7 tech support. That alone goes a long way to making the few hundred extra dollars you’ll spend on an EliteBook worth it compared to a budget laptop. Figure in the powerful components, extra security and durability features plus the great looks, and the machine begs to be on your short list. With its smooth metal styling, the HP EliteBook 6930p looks the part of a premium business notebook, and it’s extra durable, too. In addition to its design, we like its blazing performance, powerful discrete graphics, security features, and bright, versatile display. We also appreciate the generous assortment of software, especially QuickLook 2. This is the best bang-for-your-buck business notebook we’ve tested. ATI Mobility Radeon HD 3450: Nachfolger der HD 2400 Grafikkarte und dank 55nm Prozess wahrscheinlich schneller getaktet und daher mit geringfügig besserer Leistung. Für anspruchslose Gelegenheitsspieler wahrscheinlich geeignet. Unterstützt DirectX 10.1 Effekte (jedoch ist die Karte dafür zu langsam) und Avivo Videofunktionen (zur Entlastung der CPU z.B. bei HD Videos). Diese Karten können nur sehr alte und sehr anspruchslose 3D Spiele flüssig darstellen. Anwendungen wie Office, Internet surfen, Bildbearbeitung oder (SD) Videoschnitt sind jedoch ohne große Einschränkungen möglich. » Weitere Informationen gibt es in unserem Notebook-Grafikkartenvergleich und der Benchmarkliste. 79.56%: Weltbewegend ist diese Bewertung nicht. Obwohl es bei den meisten Websites einem "Befriedigend" entspricht, muss man bedenken, dass es kaum Notebooks gibt, die unter 60% erhalten. Verbalbewertungen in diesem Bereich klingen oft nicht schlecht, sind aber oft verklausulierte Euphemismen. Dieses Notebook wird von den Testern eigentlich als unterdurchschnittlich angesehen, eine Kaufempfehlung kann man nur mit viel Wohlwollen darin sehen.